Beautiful weather, great to sit outside, have a beer, see a gig, etc… or catch up with your film/movie collection. Marcus from time to time posts a blog on movies he likes, but there are of course also artists and bands who provide music to the soundtracks. We’ve made two such specials so far, the first being episode 67 (a loooong time ago ), the second one dating from October 2010 (episode 177). And now volume three is here, featuring Motörhead, Children Of Bodom, Saxon, Cradle Of Filth, Strapping Young Lad, Poison, Pantera, Morbid Angel, Slayer and Agalloch. Which movies these bands are related to, our dearest Si will tell you all about. So tune in and get inspired to check out the respective movies. Cheers! 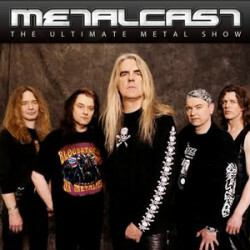 First time listening to metal cast… awesome playlist, awesome podcast! !